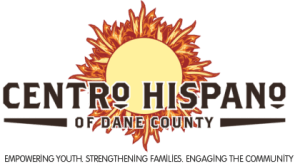 Latinos under the age of 30 are one of the fastest-growing segments of the Dane County population, within the next decades. Unfortunately, young Latinos face countless barriers to achieve academic and career success and the dropout rate is alarmingly high. According to a National Council of La Raza report, 28% of Latino students ages 16-24 permanently drop out of public high school, more than 34% are unemployed, and by 2018, only 28% of jobs will be available to people with just a high school diploma”. In partnership with Madison College, the CAMINOS Program will support 45 participants (three cohorts of 15 students) through a certified nursing assistant curriculum, while gaining the soft skills that will prepare them overall for employment in the emerging health care sector. 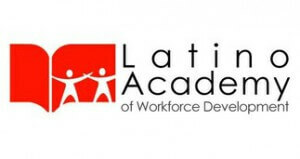 The Latino Academy of Workforce Development (LAWD), a program of Vera Court, is a bilingual adult education and employment program, with the primary goal of creating a safe, culturally competent space that empowers Latino adults to succeed and integrate into the economic and educational systems of Dane County. LAWD’s programming addresses the following needs: low high school graduation rates for Latino students in Dane County; high under and unemployment among Latino adults, and a lack of Spanish language, culturally competent programming. LAWD’s unique ‘education through community’ approach works closely with students, responds to educational needs quickly, and creates pathways to improved education and employment for the Latino community. This approach has demonstrated tremendous impact within the program’s first four years, growing from a small offering of language and job skills classes initially, to a community of over one over 500 learners participating in GED/pre-GED, ESL, and computer classes, job skills training, and employment services. 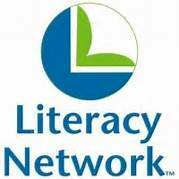 Literacy Network teaches reading, writing, communication, and computer skills to Dane County adults so they can achieve financial security, well-being, and deeper engagement with their families and the community. 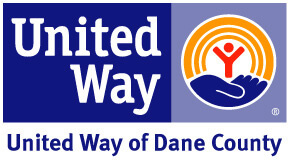 We offer classes and tutoring programs in more than 25 locations throughout Dane County, with the support of more than 500 volunteer tutors each year. Our strong partnerships with businesses, libraries, clinics, schools, and social service agencies build essential community connections for our program participants. Just Bakery is a 16 week commercial baking vocational training program. The program offers Life Skills education, ServSafe Certification preparation, baking math, food science, customer service and teaches commercial baking skills in a commercial grade kitchen with students actually making a line of bakery products for sale in the community, employment placement assistance, and job coaching/mentoring are also provided. The program works with individuals who have an interest in baking or culinary arts as a career pathway and who experience significant barriers to employment: formerly incarcerated, homeless, lack of education, lack of work history or skills. Not all vocational or career training programs will accept individuals who are homeless which makes our model somewhat unique. The overarching goals of Just Bakery are: program participants obtain and retain permanent employment at a wage higher than minimum wage, and formerly incarcerated participants do not return to prison. Program graduates can earn class credit from Madison College. The Urban League’s ADVANCE Employment Services provides an array of workforce solutions for job seekers and businesses. Our Job Seeker Services provide the tools for success in today’s job market including individualized employment planning & career advising; connections and referrals to employers; nationally certified work readiness training; industry recognized training in health care administration, customer service & sales, information technology, food service and construction trades; individualized and group job search and job placement assistance; and job retention and advancement coaching. Our Business Services include referrals of pre-screened candidates; customized training aligned to industry and business needs; hiring events; and region-wide workforce diversity & inclusion initiatives. Construct-U prepares individuals for jobs in construction and the trades. YWeb Career Academy prepares people for web and app development jobs in the tech industry. Driving Customer Service prepares people for customer service jobs with specific employers. Each training program includes job readiness, academic preparation, classroom learning and hands-on training with industry partners.